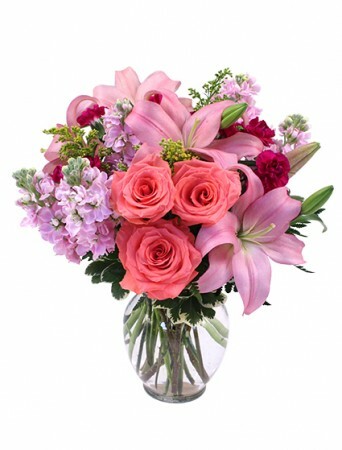 Red Rose, White Or Pink Lily, White Stock Or White Hyndrengea. 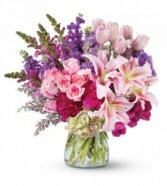 Grand Occasion™ Bouquet is the perfect way to add sophistication and elegance into any celebration. 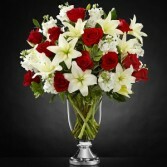 Rich red roses collide with white stock and brilliant white Asiatic Lilies, accented with lush greens. Arranged in a clear glass vase with a gleaming metallic silver pedestal, this bouquet turns an ordinary day into an occasion of its own. 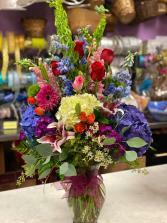 BETTER bouquet includes 28 stems.